Ramble :: Dark -- the ability to provide thoughts in a lengthy and often incoherent manner. 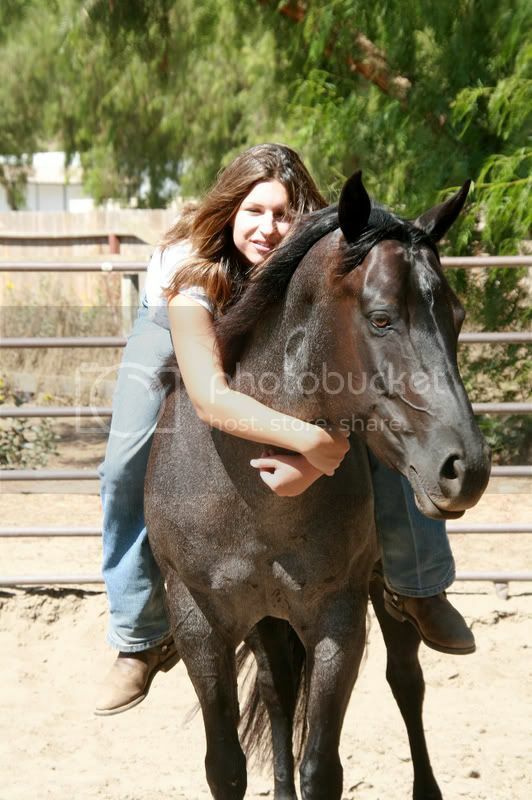 Rainy -- 2002 blue roan qh mare. Loves to cut cows, has an adorably pathetic whiny, eats carrots like they're in shortage. Harley -- 2000 yellow lab male [living at mom's house]. Always carries a stuffed toy, terrified of the cats, book smarts and no street smarts. Ellie -- 2012 german shepherd female. Rescued, so has some insecurities with other dogs. Very affectionate and mellow. Obsessed with light/reflections ( :[ ). Also has book smarts and no street smarts. Garnet -- 2012 gargoyle gecko female. Likes to educate children, hides all day, licks eyeballs like a CUTIE. Species: Other Gender: Mare Age: 25 Height: 5'7"
-- Halloween, October 31st, 1988 - born in Arizona. -- 1990 moved to California. -- 1998 moved to Virginia. Began riding horses. -- 1999 moved to California. Finished elementary school. Started middle school. Started rping. -- 2002 finished middle school x.x Started high school. -- 2006 finished high school. -- 2008 Founded Isilme :3 Got back together with Josh <3 Moved away to finish college at UC Davis. -- 2009 interned at the equine hospital for a semester. Interned at the dairy for a semester. Worked as a recreational supervisor at a 4 star hotel and resort for the summer. -- 2010 interned at the dairy for another semester. Closed Isilme/crashed. -- 2011 became vice-president of the UCD rodeo club. Finished college with a bachelor's degree in Animal Science and Management. Moved in with Josh <3 Hired as seasonal educator for SeaWorld San Diego, kept on part time. Hired as part time educator at the Helen Woodward Animal Center, shifted to animal care assistant with partial educator roles. -- 2013 Left SeaWorld and became Animal Care Supervisor for Education department at Helen Woodward Animal Center.